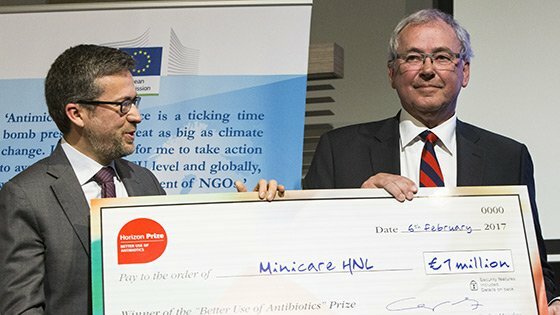 A handheld device, which can differentiate between bacterial and viral infections, and could help reduce the number of incorrectly prescribed antibiotics, has won the first ever European Union ‘Horizon Prize – Better Use of Antibiotics’ in Leuven, Belgium. The HNL test, developed by Royal Philips and Diagnostic Development, uses the Philips’ Minicare I-20 handheld diagnostic platform. The device measures the amount of Human Neutrophil Lipocalin (HNL) in just a finger prick of blood, and can use the levels detected to determine whether the patient from whom the blood sample originated is suffering from a bacterial or a viral infection. 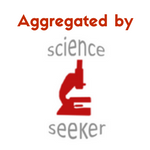 HNL has been demonstrated to be an effective biomarker due to its increased levels in blood during a bacterial infection. The prize was awarded to fund the commercialisation of the Minicare HNL. Image credit: European Union. Winning the Horizon Prize has rewarded the developers with 1 million euros, which will be put towards commercialising the Minicare HNL, expected to be available for patient use by 2018. The main advantages offered by the device are its ease of use by non-laboratory staff, its low cost, and how quickly it can give results, only needing a few minutes. A major contributor towards the emergence of antimicrobial resistance is the overuse and misuse of antimicrobials. These drugs are only effective against bacteria, and using them to treat infections cause by organisms other than bacteria, such as viruses, not only has zero benefit for the patient, but can promote the emergence of microbial strains resistant to that antibiotic. According to a study by the CDC in 2016, as many as 30% of antibiotics are prescribed incorrectly in the US. This growing resistance is responsible for approximately 25,000 deaths per year, EU data has stated, and costs over 1.5 billion euros in healthcare. Professor Per Venge, CEO of P & M Venge AB which was involved in developing the Minicare HNL, said, “There is a misuse and abuse of antibiotics today and that’s because doctors don’t have the tools to distinguish between viral and bacterial infections.